Moving to a new home is exciting. You’re beginning a new adventure and putting down roots in a new place. However, without the proper planning, relocation can be stressful and tiring. 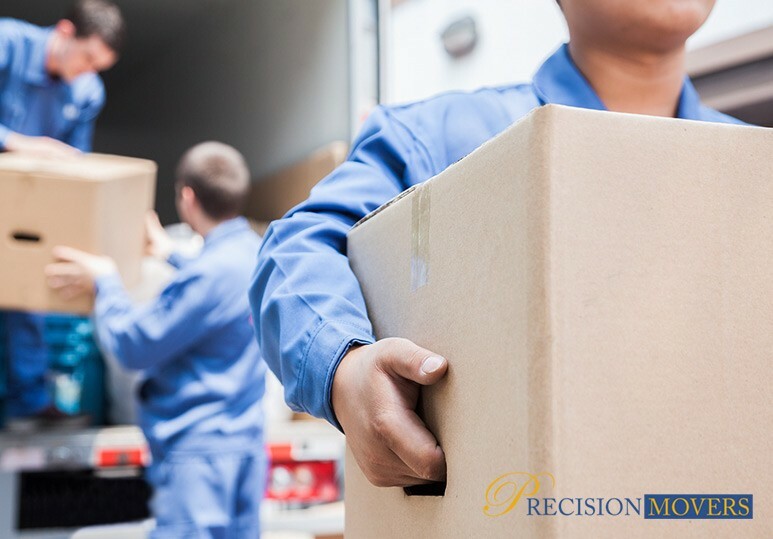 Whether you’ve hired professional movers or enlisted the help of your friends and family, here are some tips to help you avoid moving day chaos. Choosing the right moving services company can be a time-consuming task but well worth the investment. With the right knowledge, you will be able to make an informed decision and pick the right professional movers for your needs. Whether your residential move is local or long distance, remember to check the route twice before setting out for the new location. Make sure to discuss the route with your movers as they may be able to give you easy-to-follow directions for your trip. During your residential move, find a safe place to store your valuables and insure anything that is valuable and easily broken. At Precision Movers, we offer specialized services including luxury furniture moving and piano moving to ensure that your most expensive and valued possessions remain safe during the move. Whether you have enlisted the help of friends or professional movers, ensure that you are ready for them when they arrive. With a moving service company, unless you hire packers, be packed before the team arrives. Failing to do so may delay your move and increase your cost. Read More: How Much Does Hiring a Relocation Service Cost? Before you move, try to sketch a floor plan of your new home and number your furnishings the way you want them arranged in each room. Make sure to tag the furniture pieces to correspond with the numbers on your floor plan so that your professional movers know where to place everything. This is especially important when moving heavy furniture as your movers can then put these pieces directly into the rooms to which they belong. If you have children or pets, make sure that they have a sitter or someplace safe to hang out during the moving process. This is to ensure that no one accidentally gets injured. Keep plenty of snacks and drinks to maintain everyone’s energy. Your movers will greatly appreciate the gesture as well. Have a plan in case of poor weather. Moving in the rain is never fun but if you keep some plastic wrap handy, you can provide suitable protection for your possessions. If it is very hot, take plenty of breaks to avoid dehydration. If the opportunity presents itself, introduce yourself to your new neighbors! For more information on how our Calgary relocation service can help make your residential move simple and easy, call our office at 403-540-4393.